We are thrilled to welcome Susanne Morgan to our advisors team. As an educational platform, we value academic rigour and research-based approach, and Susanne’s over 40 years of experience in academia and education consulting are invaluable to NTOK. Susanne joined us after recognizing the rising importance of online environments when it comes to the future of education. “In the next five years, we’ll see more peer-to-peer experiences in education. In my 40 years of experience in higher education, every 10 years there’s better focus on individual learner,” said Morgan. “This model of peer-to-peer support takes that even further, I believe that’s the direction things are going. The industry needs flexibility for better individual student learning and getting the resources of teachers and tutors to the individual students, without having to have the physical people together at all times,” she added. Susanne taught sociology at Ithaca College since 1983 and her role at the college was multifaceted. She developed and taught courses in the sociology of health and medicine, sociological research methods, as well as the sociology of aging. She penned over 50 books, published articles, and scholarly presentations on sociology and applied sociology topics. Her teaching areas were research methods, the Sociology of Health and Medicine, and aging studies. Susan is passionate about the critical value of the sociological imagination, committed to empowering people to enjoy data, fascinated by the effect of social factors on the body. She also deeply cares about health care systems. She served as department chairperson, coordinator of First Year Seminar program, Faculty Development Activities, and on multiple institutional committees. From 2001, she worked and wrote primarily in the area of faculty development and higher education, and have produced over 50 articles and workshops on higher education topics. She also designed a virtual Center for Faculty Excellence. Over her years at Ithaca College, she worked institutionally in many ways, including service as department chair, chair of the all-college tenure and promotion committee, and coordinator of the first year seminar program. She also worked to mentor faculty and support departments. In 2012, Susanne Morgan was awarded the status of Professor Emerita, recognizing her academic achievements over the years. During her time at university, she worked to enhance diversity in academia. Intersections between institutional structures, cultural changes, and faculty experience continuously guided and enriched her faculty work. As an independent faculty development professional, Susanne has over twenty years of experience supporting faculty members and academic organizations. She especially works with clients to improve their teaching, navigate the tenure process, and meet their writing goals. She has written over 100 articles, chapters, books, and presentations in higher education contexts. Additionally, Susan loves supporting academic writers in building and maintaining a productive writing program, and in navigating career challenges. Susanne joins other NTOK advisors who are committed to supporting NTOK in solving critical issues of the education industry. Education is out of date in technology adoption, with only a tiny share of the industry online. NTOK.io is on a mission to make cost-effective, high-quality, transparent learning accessible to more internet users worldwide. Our technology enables learning, in particular of foreign languages, through a peer-to-peer technology platform, connecting tutors and students online. Through the elimination of intermediaries between tutors and students, such as schools, NTOK.io is able to significantly reduce the cost of lessons. 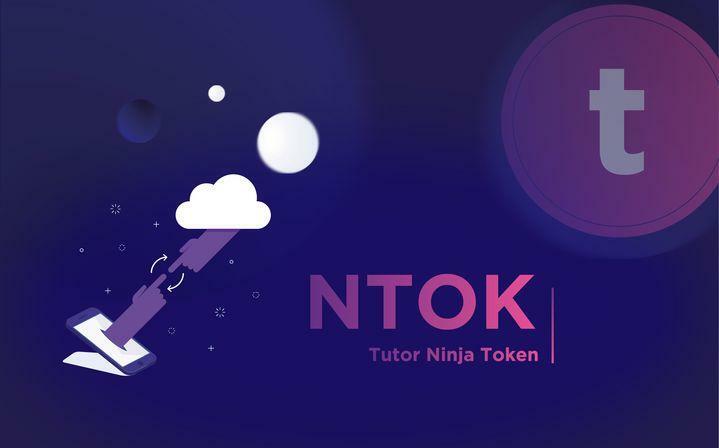 Additionally, NTOK token enables access to the database of tutors on a blockchain with decentralized and secure reviews and rankings, as well as streamlines and secures transactions. Susan Morgan believes that the economics behind NTOK token is closely linked to the actual market trends and needs. “The global nature of the learning environment is something that, in the US, people are hurrying to catch up. Institutions like a brick and mortar college would invest in supplying this for their students, because they know their students need individual help, and institutions aren’t always able to supply that, without great cost,” stressed Morgan. Learn more about NTOK.io by visiting our website, reading the whitepaper, or get a quick overview by downloading an easy-to-review one pager. CoinMetro is a native crypto project, born out of the space, taking cues from the much larger forex market while still retaining its crypto roots. What’s the demand for such a product? Simple – crypto investors deserve better than what the current infrastructure provides, and a comprehensive platform that provides all the needs of crypto investors and traders can see a fast and accelerating update in the community. CoinMetro is trying to do a lot of things – sometimes, it feels as if they are trying to do too many things at the same time. However, unless it is able to provide the most comprehensive set of features to the existing crypto community, they are unlikely to see uptake rapidly. This is because competition is stiff, even if the competition may have a lot of issues. So how does CoinMetro aim to compete? Well, essentially by doing everything that a crypto trader and investor could hope for, and much more. For example, CoinMetro has an exchange, but there are many other crypto exchanges out there as well. However, it allows for fiat currency trading from the get go. Then, it allows margin trading for the crypto traders. This is a big feature that not many other crypto exchanges provide, that professional traders require to come on to the platform. Even better though – the margin is extended by long-term holders of crypto, not the platform itself. What this does is to create a marketplace for traders and long-term holders where the long-term holders get to earn ‘interest’ on their crypto savings, while the short-term traders get to leverage their positions and amplify their P&L potential from crypto trading. It’s a win-win really for both these communities. For regular users, CoinMetro also has a debit card that can be used for everyday goods and services – just like you’d use a regular debit card. Behind the scenes, the crypto assets are sold off and converted to local currencies when you make a purchase. A handy tool built into the platform. For more advanced crypto traders, CoinMetro has several features unique to the platform. This is because the team understands that if it can get the heavy professional traders onto the platform, it helps with liquidity and forms a positive feedback look attracting many more traders and investors. So what does CoinMetro provide these pro-traders? Well, for starters, the platform provides superior analytics inspired from the Forex markets that has seen a steady professionalization over the years. Then, on the functionality side, it offers fairly complex order types. This is useful for the pro-traders – while regular traders and small-time investors likely just use market and limit orders, there are many professional trading strategies that cannot be supported without the use of fairly complex order types that need to be executed reliably. Finally, for investors and asset managers, the CoinMetro platform allows for the creation and trading of groups of crypto – similar to an ETF style crypto. What this means is, if an investor new to crypto wants exposure to crypto as an asset class, all they need to do is buy one of these ETF-like funds on the platform and they can automatically get exposure to many underlying crypto-assets as opposed to just Bitcoin or other more popular ones. The crypto market is huge, and there is enough room for a serious competitor that provides a one-stop shop for all of investors’ needs. Can this be CoinMetro? Check out CoinMetro’s website for more information. Today, we want to introduce the WPR token to our readers. This is the WePower token. The reason it caught our attention is because it has something very unique – the value of the WPR token is literally backed by green energy. By holding the WPR token, you can access energy. Hold enough tokens (and live where the projects backed by WePower are located) and simply by virtue of holding them, you can get free power. That’s a very unique value proposition than many of the other crypto projects in the marketplace today. So what’s the story behind WPR? Glad you asked. Let’s dig into this token a little bit. 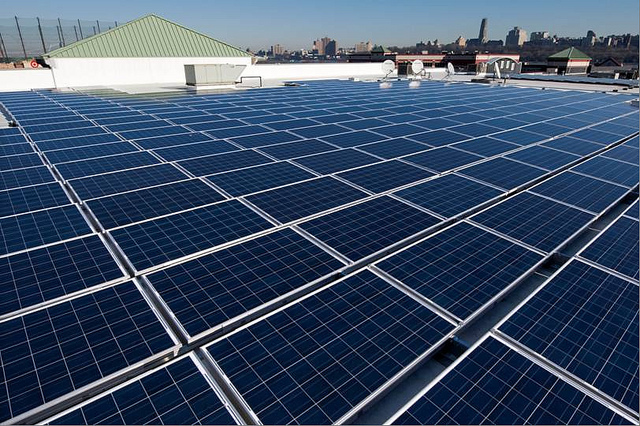 WePower is a green energy trading platform, which lets investors back green energy projects. 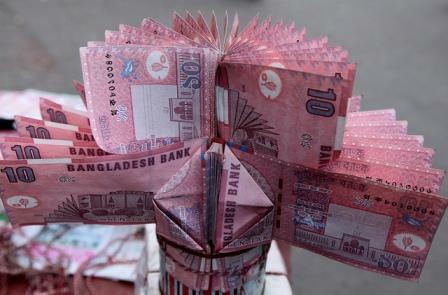 The projects in turn repay the investors not in dollar terms, but in energy terms. The WPR tokens in turn accrue a percentage of the transactions, specifically 0.9% of the power returned to investors is sent cumulatively to the WPR token holders. Since the payments are happening in energy, the WPR holders get a small amount of energy. This is different from dividends! The WPR token holders can use the energy if they are near a WePower power source. If not, they are free to sell their energy tokens in the free marketplace for others to purchase. Although WPR isn’t the first energy based crypto token, the value proposition is fairly unique as far as we have seen. The WPR token should retain value beyond mere speculation, because the token holders can use the tokens to pay for electricity. The WPR tokens should be valuable for that reason beyond just trading and speculation that are currently rampant in the crypto markets. Let’s be real – the world needs more energy over the coming years and decades, as billions rise out of poverty into ‘first world’ levels of living. The energy sources we have today aren’t sustainable. We need more green energy sources and projects to come online. The way to do this so far as been through political action, but as countries like the United States have shown, this is far from easy and one powerful country can derail all the plans. What’s the alternative then? Well, simple – let the market economy fund the generation of the next decades of green energy projects. The marketplace and investors can take the risk for onboarding these new projects. 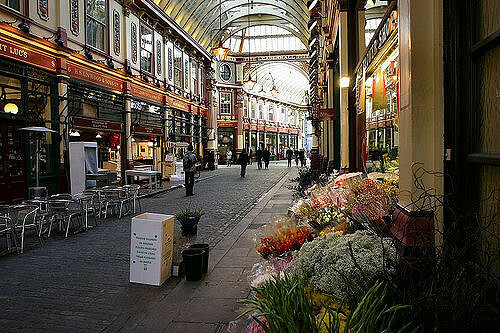 Governments can help via subsidies whenever they can, but if not, the free market is capable of driving the price down. This makes WPR token immediately attractive to a wide array of real world energy uses. The WePower network will fund new green energy projects in a marketplace, let investors put down the money, and then get repaid from the successful execution of the project. The interesting thing is that the repayment happens not in local currencies or even cryptocurrencies but in terms of energy. Therefore, the investors in the projects get returns in terms of energy. The whole ecosystem, therefore, that WePower is building, revolves around payment and repayment in terms of energy. The WPR token accrues energy in the transaction fees of 0.9% paid to the WPR token holders. Therefore, for every 100 MW of energy being added by the WePower network, 0.9 MW of that energy is distributed to the WPR token holders. You can directly use this energy if there’s a power source in the WePower network near where you live. If not, you can just sell in the marketplace at a market rate. WePower therefore finds a way to combine crypto-tokens with the future of green energy. That should appeal to a wide array of investors in and outside the blockchain space. If you’re curious for more, check out WePower. Fund Platform is an interesting new crypto project that is building a full infrastructure for a crypto-investing platform. An interesting aspect of the Fund Platform is that instead of going the traditional route of having a token on Ethereum (ETH), Fund Platform is instead building on NEM. NEM is an interesting choice of blockchain for Fund Platform. Although it isn’t Turing Complete for smart contracts, NEM is well suited to handle crypto-assets on the blockchain, borrowing that legacy from the first pure proof of stake chain, NXT. Also, NEM is far older than Ethereum and has been going strong after all these years (NEM was created in 2014). Therefore, it has shown to be resilient to change after all these years, and the NEM blockchain continues to grow by leaps and bounds. Another big advantage of NEM over Ethereum is that NEM is a far more scalable blockchain than Ethereum is right now. NEM uses a Proof of Importance protocol for blockchain consensus, as opposed to Ethereum’s Proof of Work (PoW). This makes NEM more scalable than Ethereum and able to handle a higher number of transactions per second. Some might question this choice – shouldn’t all new projects try and build on Ethereum to maximize network effects? The answer is no. There are multiple possible winners in the blockchain space, and we would much rather see projects that are resilient rather than risk everyone on one blockchain Ethereum. Also, Ethereum is an overkill for simple tokens. Simple tokens don’t need complex Turing complete contracts. Instead, NEM offers exactly what a token needs – its ability to track tokens through the blockchain and for the assets to represent something. Several new blockchains like Waves and Stratis also provide this type of functionality. However, NEM is older than them all and has a better throughput. Also, since there are scores of ICOs on Ethereum going on every single day, presumably Fund Platform can stand out as an ICO for the NEM community members, who don’t see ICOs that often. Now that we have the choice of blockchain for the token of Fund Platform out of the way, let’s discuss the platform itself. Fund Platform is created as a crypto investment platform. It brings together crypto investors with fund managers, while cutting out the unnecessary fluff in the middle. Here’s the big twist though – unlike traditional fund management, the fund managers cannot run away with your funds. This is a fundamental problem in crypto investment community where you don’t know if you can trust the person who you give control over the money. Even more than trust, it is a matter of accident as well – for example the fund manager may be very trusted, but due to a mistake, might get hacked and lose all the funds. This isn’t the first time such a thing would happen. Instead, what Fund Platform does is make custody of funds simple and on the platform itself. This means the responsibility of security of funds falls on the Fund Platform developers instead of every single asset manager on the platform. This is important because asset managers cannot be known to be the best in the world on security, after all. The fund platform itself is tokenized on the NEM blockchain, so you can quickly and easily go in and out of a fund that is trading on the Fund Platform. Fund Platform makes it really easy to start your own virtual crypto hedge fund, while reducing custody risk at the same time. It is a win-win for the asset managers and end crypto investors really. There’s a native token for Fund Platform called the FUND token. This is the token of the platform, used a currency to pay for everything from legal expenses to paid API access. To learn more, check out the Fund Platform website. The pre-ICO is ongoing with the ICO about to come soon. If you’re considering investing, make sure you read the whitepaper as well. It is always good to see startups use blockchain technology to solve issues in the real world, or use the technology as a means to a better world. White Rabbit should qualify as one of those attempts. Founded by a team of software professionals and movie professionals, it is geared at the creative industry. 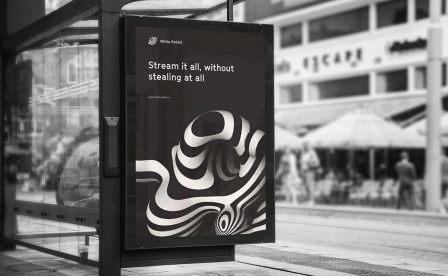 More specifically, the project aims to better the relationship between ‘pirates’ who stream digital media content, and the creators of that content, by ensuring that the right people get paid when media is streamed, without burdening the end user and without the need for third-party middle men. The problems of ‘pirating’ are well known, but White Rabbit is making a bet that many of these so-called pirates are just fans waiting to discover the next great creative uproar. Pirating is easy and provides access to the content that the fans want. It is fast and efficient. However, in that process, the connection between the fans and creators can get lost with our current infrastructure. Digital subscriptions don’t solve the problem completely, because each is its own silo. If you need content, you’ll need to sign up for Amazon, Netflix, Hulu, HBO, and whatnot. This is not the most convenient option for fans to access content. Therefore, they look for alternatives, that don’t necessary reward the content creators. In addition, these closed ecosystems all have their own logins and monthly payments – something not always feasible for ordinary people. So what’s the solution? It is partly philosophical – treating fans as fans and not ‘pirates’, and partly technological – make it as easy as possible to help out the creators you enjoy. The White Rabbit solution is to completely separate distribution from payments. This means the manner and method of accessing content doesn’t have a direct bearing on the payments to the content creators. This is a powerful idea, and time will tell if it is something that catches on with both sides. In addition, by using blockchain and cryptocurrencies to run the platform, the team has chosen technology that is inherently transparent and pretty much instantaneous. You no longer need to trust some shady third-parties telling you how you should get paid. You can audit every single transaction on the blockchain yourself, and know how many fans actually subscribed to your work. In addition, the White rabbit solution offers a way to increase revenue for the content creators by engaging directly with their fans. Today, that is just not possible on traditional sites like Netflix and Amazon. However, creators can really tap into the long-tail of their fan base and make a living off of it. Remember the 1000 true fans concept? If you like to learn more about White Rabbit, check out their website here and their whitepaper here. If you draw an analogy between the early internet and world wide web of the early 90s with where blockchains are today, you can see many similarities. When the web was young and early in the 90s, everyone was just looking to do things they knew from other domains, and put it on the web. This is how you ended up with a lot of terrible ideas, which ultimately led to the dot com crash. We are seeing a very similar pattern today with ICOs. You take an existing idea or concept, and try to make it ‘on the blockchain’, similar to ‘adding dot com to your name’ before the dot com crash. No wonder then that there are terrible ideas being produced in the ICO markets today. But don’t despair! The dot com crash didn’t mean the end of the web. Rather, it meant a refinement of the startups, their ideas, and a focus on what’s important and what matters. No longer were people looking to be lazy and just ‘do it on a website’. Instead, once you start treating the web as an organic whole, a complex system, which has characteristics different from what came before, you were able to create multi-billion dollar companies that have changed life on the planet. Similarly, today many projects take the ideas of the old economy and try to do that on the blockchain. This doesn’t usually work, but will work in some cases. However, the biggest advantage of the blockchain is that it is a new paradigm in and of itself. This is a powerful idea, and powerful ideas will be built on it in the future. You need to look at applications that make sense in a blockchain world, not the ones that are borrowed from the old economy. Blockchains and crypto-tokens enable a brave new economic world, and people need to get used to thinking in those terms. That brings us to today’s project that we want to discuss with you – FCFL, or Fan Controlled Football League. We like bold ideas, even if they fail, because these ideas push the envelope of what’s possible. FCFL is definitely a bold idea, because it is trying to create a new sort of sporting experience that is hard to impossible without the blockchain backbone. So what is FCFL building that gets us so excited? It is a new sporting paradigm where the fans are in control. Forget the days of sitting on your couch, with a beer in hand, yelling at the television screen because your team didn’t do what you wanted it to do. Instead, if you think you’re so good, why don’t you tell your team what to do? Seriously, what’s what FCFL allows you to do – direct your team’s plays. Everything is fan controlled, including the plays during the game. That’s pretty revolutionary for professional sports, and a new paradigm. Fans do everything from drafting to deciding plays during the game! All of this is enabled with the help of the native FAN token. The voting power that you get is proportional to the number of FAN tokens you have, along with other things like how good you are. This is a nice use of the token, and it will find use among fans and sports enthusiasts in general. This gives it value to these people. We are always looking at project pushing the frontier. With FCFL, the pro-sports category is up for grabs. Any takers? Check out their website and whitepaper to learn more.